Situated on Ascot High Street, just round the corner from the racecourse, this office space is ideally located and provides a contemporary and unique environment to work from. Space available is ideal for between one and six desks and for people who want to work in a collaborative environment. 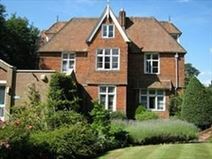 This Victorian manor house has been carefully adapted to provide office space that can grow to meet your needs. The location offers local centres in Bracknell and Windsor as well as Ascot station and motorway connections to London and Heathrow. With spacious landscaped grounds and period charm, accommodation in this vibrant centre is available on terms to suit your business needs. Tenants will have 24-hour access to the space.